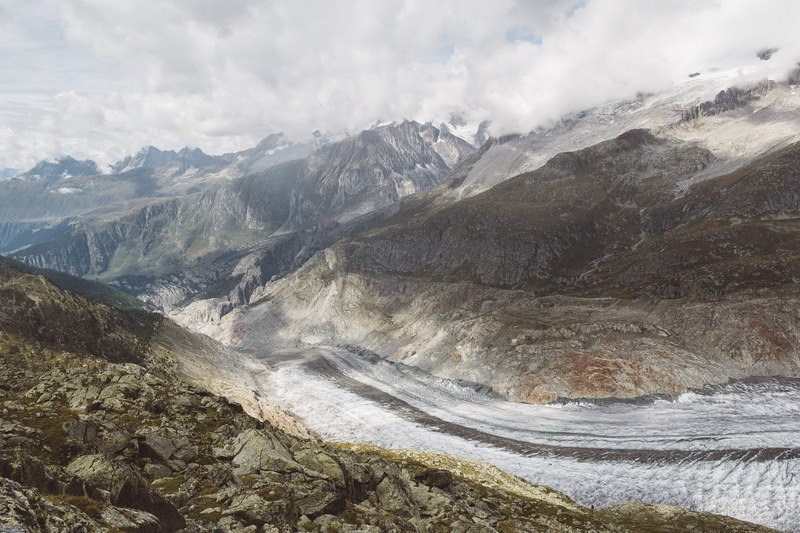 There are some amazing glaciers in the Alps. 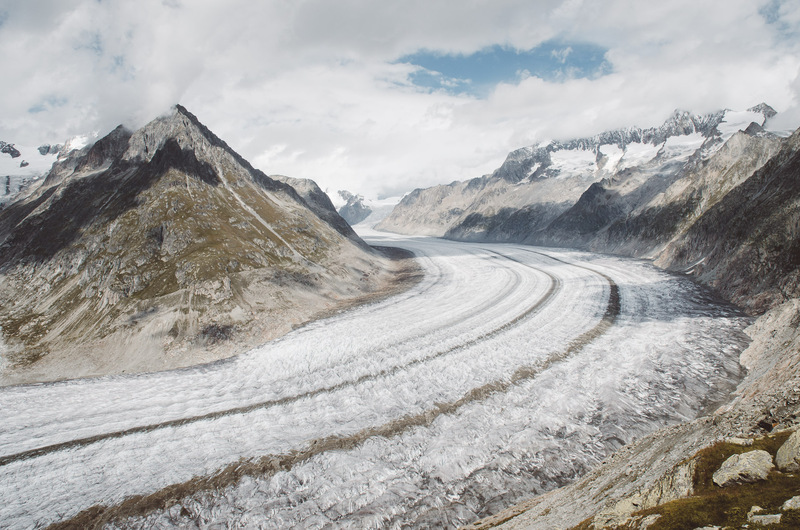 The biggest of them all is the Aletsch Glacier, located in the Swiss Alps. 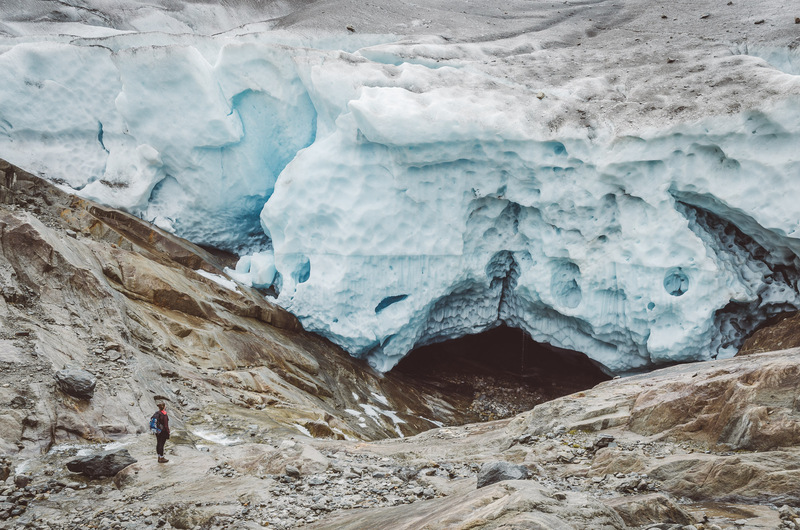 In this blogpost we show you one of our favourite hikes, which leads along this spectacular glacier. 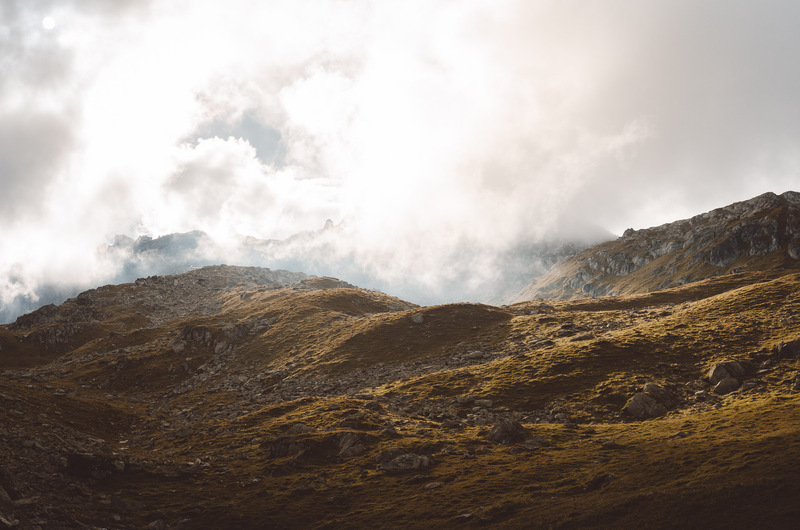 This medium level hike is definitely a must when you are in the area! 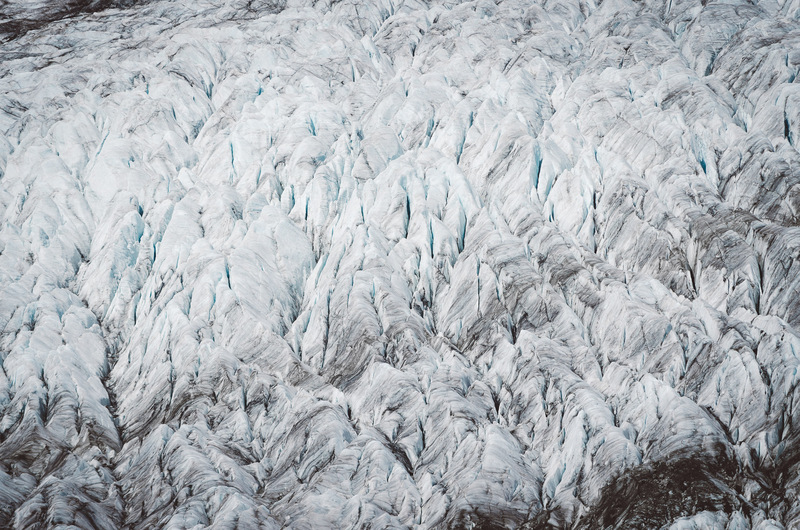 If you follow us on Instagram or on this blog you’ll probably know that we love glaciers! 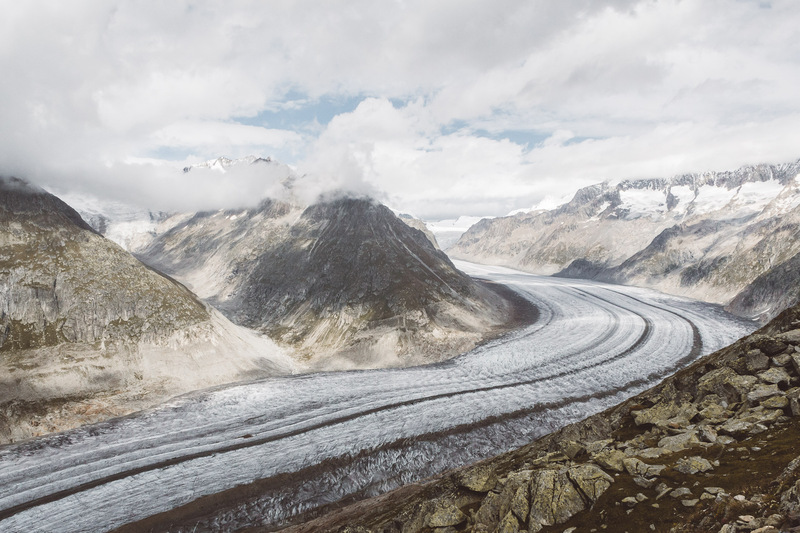 Therefore, we had to visit the longest glacier in the Alps: The Aletsch Glacier. 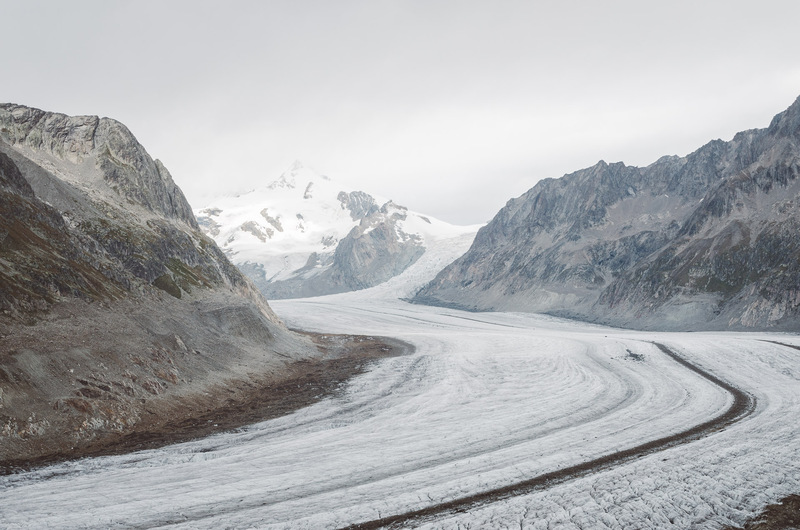 The length of the glacier is around 23km! Unfortunately, due to global warming it is shrinking up to 50 meters each year. 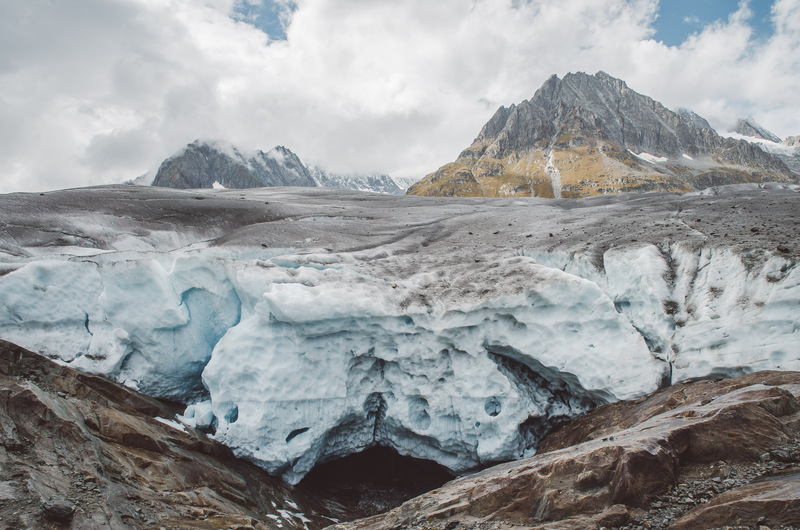 If you have the opportunity then make sure to go and visit this great and amazing glacier before it melts away. 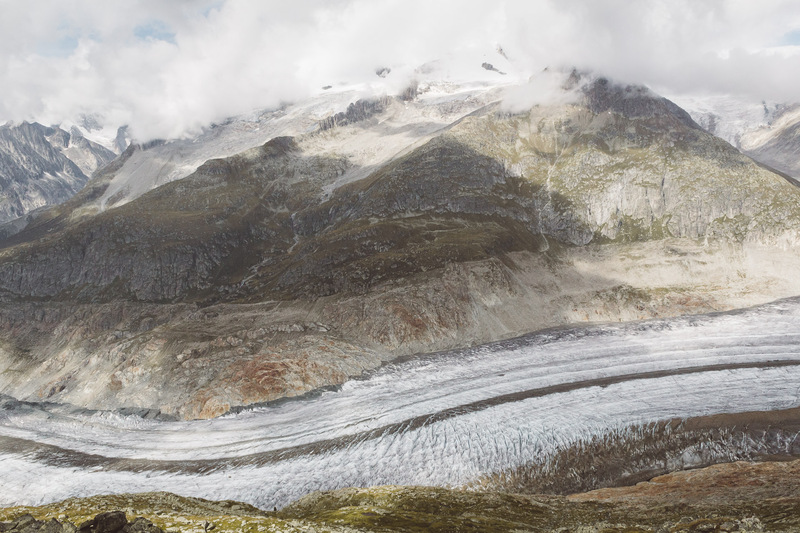 We visited the Aletsch glacier on our way back to the Netherlands after two weeks of hiking in Northern Italy. We stayed for two days in a little town down in the valley called Mörel. From here we took the gondola to the Riederalp. We walked to the Bettmeralp and took another gondola to the Bettmerhorn (2647m.). From here you’ll have your first view of the glacier. From the Bettmerhorn we walked along the glacier for about 2 hours all the way up to the Märjelensee. 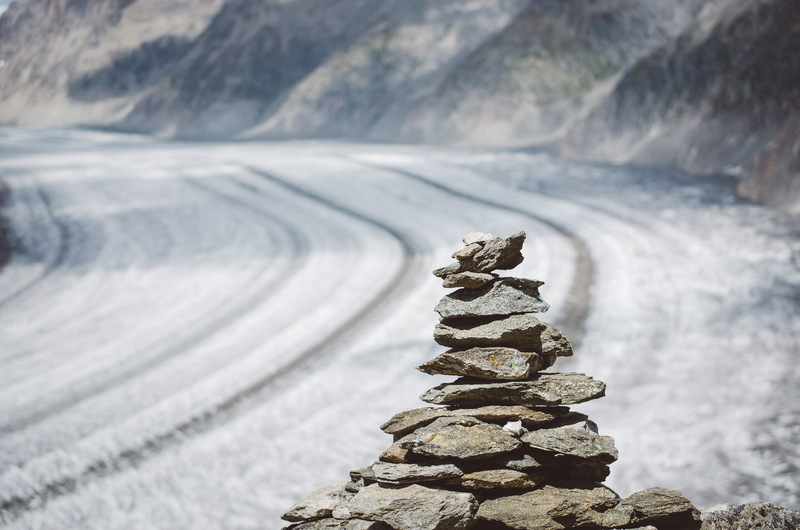 The trail is situated some distance above the glacier and provides amazing glacier views all the way through. 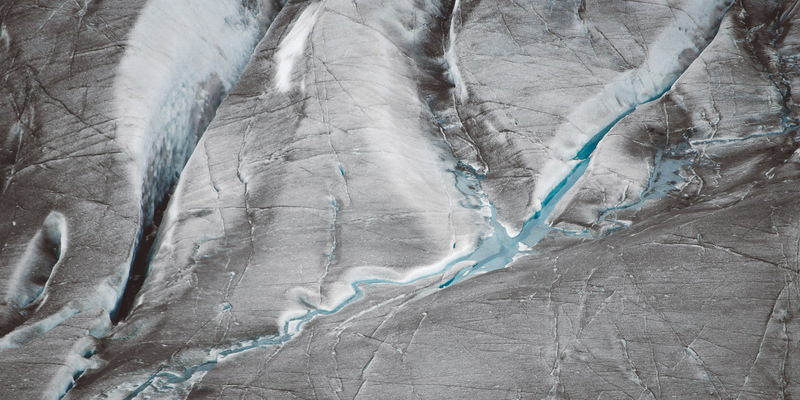 Bring your zoomlens or binoculars with you so you can see the structure of the glacier from up close. You can spot lots of clear blue lakes between the crevasses. We love that clear blue color! After walking for a while you start being able to look around the corner and on a clear day you’ll be able to see the Mönch and the famous Eiger on the other side! 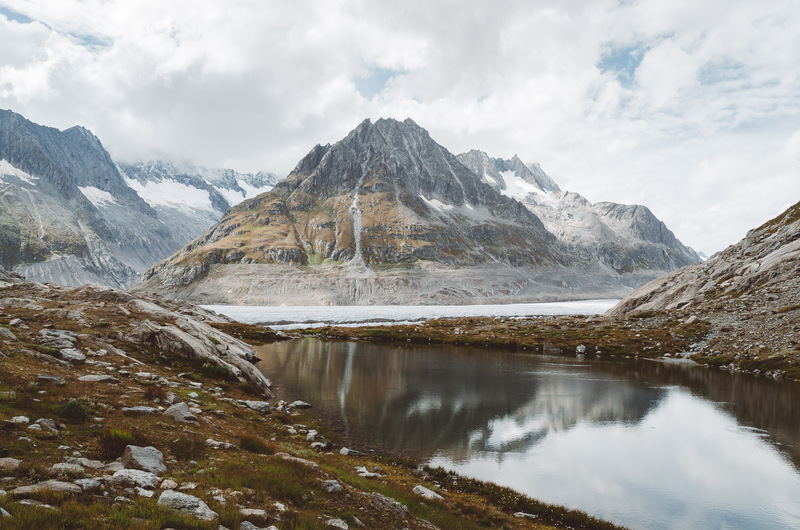 When we arrived at the Märjelensee, we took a left turn and walked down to a place where you can see the glacier from up close. 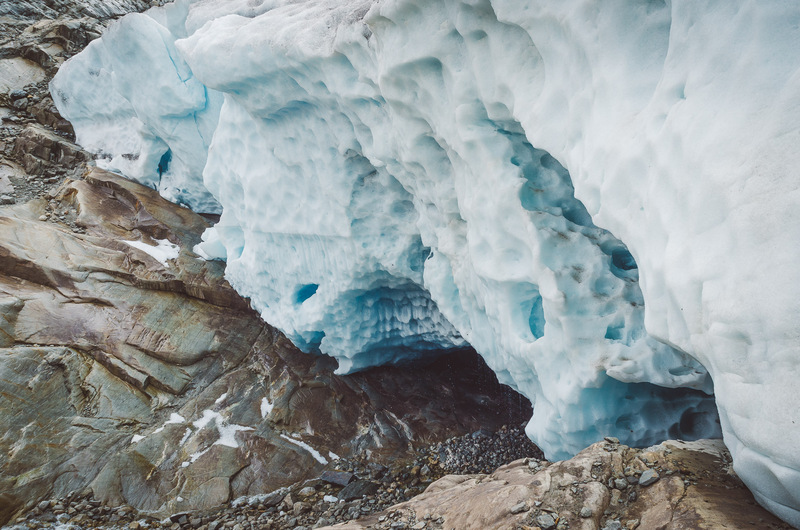 The glacier changes every day so it will be a surprise what you’ll find at the edge of this glacier on your trip! We found this huge blue coloured wall of ice! If you continue your walk from the Märjelensee you can rest at the Gletscherstube Märjelen before continuing your way back. There are two ways back, one is the usual hike around the mountain, the second way is through a 1km long pedestrian tunnel. This shortens the hike with one hour, because we were in a hurry to get the latest gondola back we took the pedestrian tunnel. This is not for claustrophobic people, the tunnel is very dark. We were happy when we spotted the end of the tunnel! We took the gondola back down from Fiescheralp to Fiesch, and from there we took the train back to Mörel. 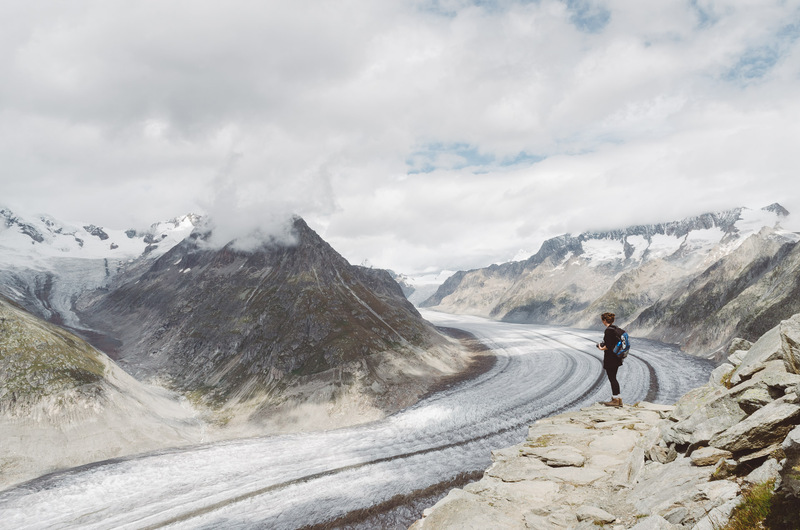 We absolutely loved this hike along the Aletsch Glacier! It’s not too challenging when you make use of the gondolas and it provides spectacular views over one of the most spectacular glaciers in the Alps! 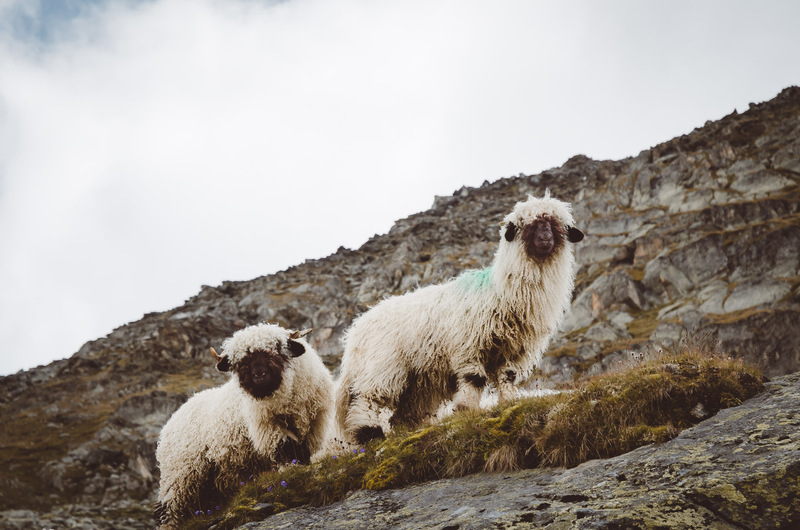 Read more about our glacier hikes in Switzerland: Graubünden – St. Moritz, Iceland: Skaftafell or Norway: Folgefonna National Park!